India has been in transition for the last two decades, moving from a mixed economy toward a market economy model, and the Indian hospitality industry is metamorphosing into a mature industry. It is time that the story of the Indian hospitality industry is told. The Indian Hospitality Industry: Dynamics and Future Trends tells that story, one defined by the industry’s push for growth in revenues and the struggle to match the revenue growth with profitability. 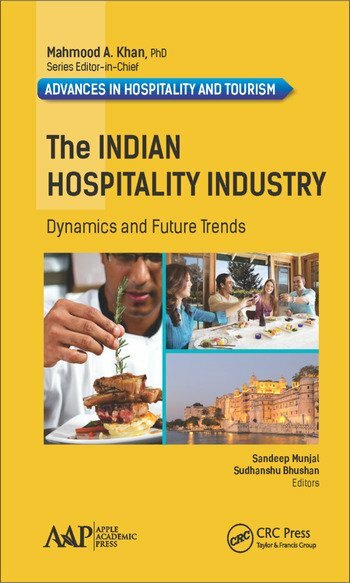 The volume includes a selection of insightful chapters that offer research into the multiple dimensions of the Indian hospitality industry. The book covers many segments of the hospitality sector, including hotels, events and catering businesses, and restaurants and coffee shops, both domestic and small mom-and-pop businesses as well as international chains. 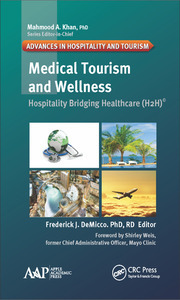 The opening chapters set the tone for providing an overarching perspective on the status of the industry in terms of the macroeconomic variables and how they may have impacted the health of hospitality businesses in India. The book then goes on to explore a wide variety of issues. The editors and chapter authors are either practitioners themselves or researchers, looking at both domestic and international hospitality business in India and a wide variety of economic factors. The information divulged here will be important for stakeholders, which includes domestic and international hospitality professionals, business leaders, investors, and those in governmental positions, especially in the tourism ministry. 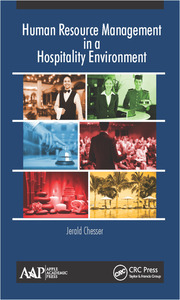 The volume informs on the issues and challenges that that the hospitality industry in India is up against. The book looks at the dilemma of a industry that responded to the demand growth promise by ramping up supply, only to find that the investments made were received by an actual growth that was way shy of forecasts and left investors with unexpected losses on their profit & loss statements and bloodied balance sheets. Sandeep Munjal is a Director at the Vedatya Institute, Gurgaon, in the National Capital Region (NCR Delhi), India. Professor Munjal brings a unique combination of extensive industry and academic experience spanning over 22 years. Having worked with industry leaders such as the Taj Group of Hotels in India and ARAMARK Corp. in the US, he offers a global perspective. He has also been engaged in a range of consultancy assignments in the hospitality and retail space in India. An IHM- Auragabad, alumni who was awarded the "best all round performance" medal, Prof. Munjal also pursued higher education in the US in hospitality management at Widener University, Chester, Pennsylvania. He is an avid researcher and has published widely in the area of hospitality management and heritage tourism in international and national journals of repute. Throughout his career journey he has received numerous awards and certifications. Sudhanshu Bhushan is currently Professor at the Vedatya Institute, Gurgaon, India. He is Ex-Vice Chancellor at Shri Venkateshwara University, Gajrola, UP, India. He is also Director of Convergence Management Advisors, Gurgaon, India. Earlier, he was Associate Dean at GD Goenka World Institute and Founder Director of the J. K. Padampat Singhania Institute of Management and Technology, Gurgaon, India. Dr. Bhushan completed his PhD from Boston University, Massachusetts, USA, and has an extensive teaching and corporate experience in the US and Europe. He was an economist with FICCI and an advisor for development programs at ADB, Manila, Philippines. 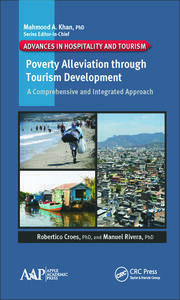 He has authored papers in various areas of retail, services, hospitality, and economics. "A wide ranging book that covers all important facets of the changing industry. I found it very intriguing to see how the face of hospitality is evolving in India vis-a-vis here in USA, especially in the field of revenue management. I left India while revenue management was in its infancy stage, and there was a stark difference on the role it played here in USA specifically in primary markets like NYC and San Francisco. The book talks about that specifically in the role of revenue management as a strategic choice for hoteliers, its consequences on the bottom line, and the most important aspect in my mind is the shortage of skilled manpower—all relevant aspects, even here in USA. The future is about a) using revenue management to drive profitability and managing the challenges it brings along with sustaining loyalty and brand image, and b) tackling the issue of skilled manpower at the grassroots level so that we breed a new kind of mindset that is needed with the changing times. The book provides this holistic view and understanding that is key before determining a relevant and successful strategy."